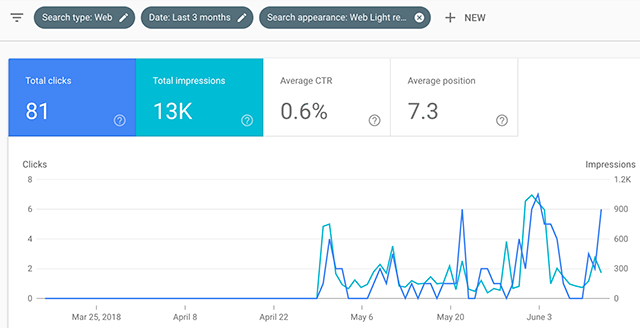 Yesterday, Google announced on Twitter that they added a new Google Search Console filter in the new beta performance report to filter out Web Light results. 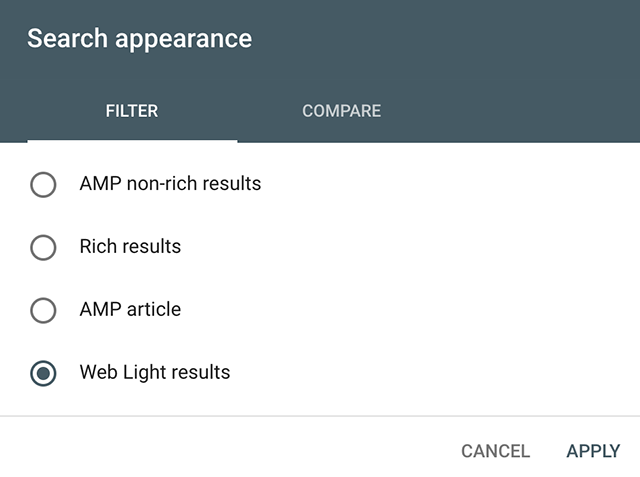 Web light is NOT new, it has been around for a few years at least and is Google's method for stripping down a web page so it loads faster when Google determines the person trying to access your web site is on a slow internet connection or slow device. We covered web light here a few times in the past, in fact, most recently around how they use it for job listings. You can learn more about how Web light works over here - again, this is not new. Just because Google started showing you the data does not mean the data is new, Web light has been around for 4 years or so. In any event, it is really eye opening to me to see that 2.5% of my Google visibility is served by Google over web light. Google is taking almost 3% of those they send to me and taking my pages and stripped out a lot of the ads and other heavier elements on my pages. About 12% of my traffic is from India and some other countries that have slower internet connections.